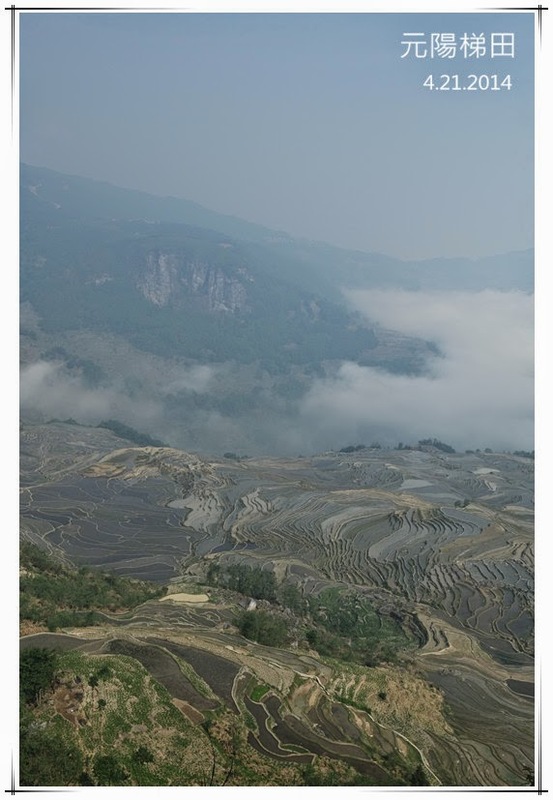 Because Yuanyang is more than half a day or a full day travel from any nearby city, guests almost always arrive after 5pm. 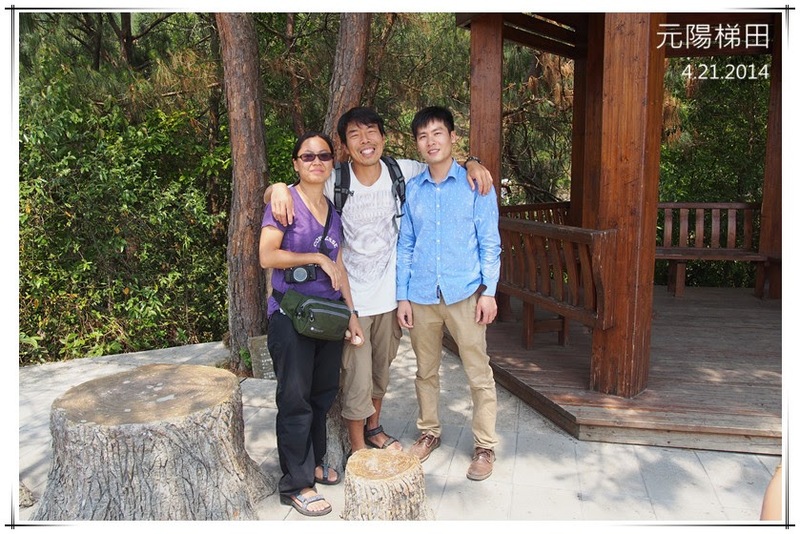 Last evening, a young guy ah Jian came from Yangshuo, Guilin. Sometimes, you just like someone when you meet the person the first time, we all love Ah Jian when we saw him. He travelled on his own car all the way from Guilin. On the way down, he visited a few other guesthouses and still decided to look further. He arrived at the Jacky’s guesthouse next door, door was closed, he did not bother to knock, and ended up here at Sunny Guesthouse! He drove his own car, uncle Tang is the guide today and took us with him to a rarely visited spot. We have to walk 20 min from the main road, it is hard for tourists to find this place without a guide. 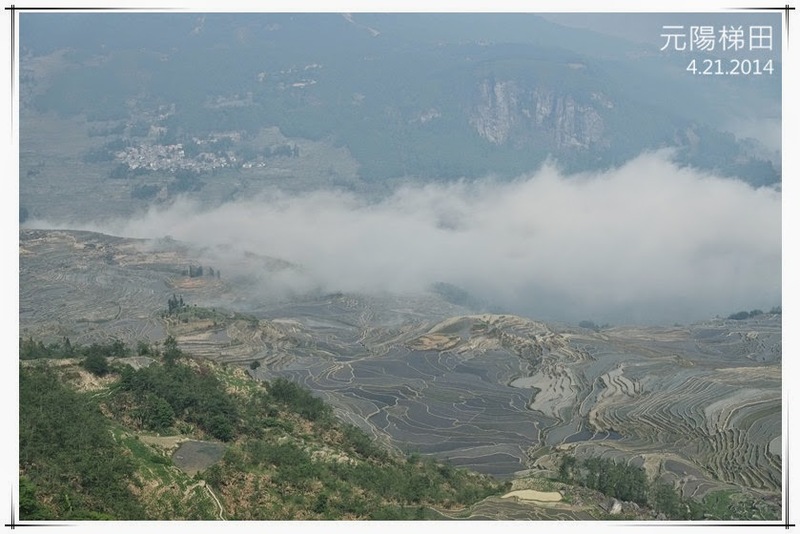 We stand on a cliff and look at the Duoyishu terrace from a different angle. 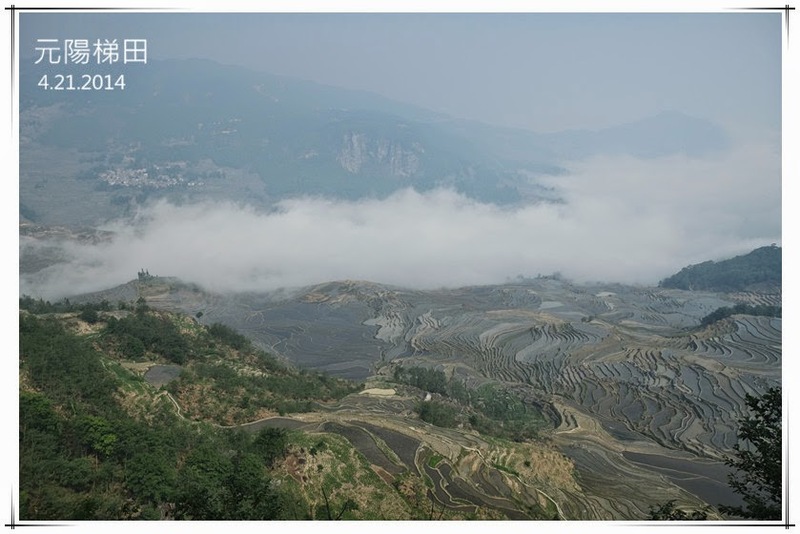 Here we see vast spread of terraces and the sea of clouds, you have to come in early morning before the clouds faint away. The sea of clouds are changing every second, sometimes high sometimes low, sometimes thick sometimes thin. When it floats inwards, you can see the clouds floating on top of the terrace, so beautiful. I think you won’t be bored watching this for a few hours. We continue on a few viewing spots and leave Ah Jian to continue on his own way. We walk back to the guesthouse by a small trail. Bye and we will see you when we go to Yangshuo! !